IBM has demonstrated a new breakthrough in AI performance. By using machine learning on POWER9 with NVIDIA Tesla V100 GPUs, IBM technology can now predict the likelihood of a user clicking online advertisements 46x faster than previous published results. In a newly published benchmark by IBM Research, we demonstrated how Snap Machine Learning (AI technology) can be used to train machine learning models for massive data sets from financial records to weather forecasting to online marketing. The result for customers is lower cloud costs and faster time to insight. The insights derived from data are where real business value is—and getting those insights is a tall order when it is time- and cost-consuming to evaluate even relatively simply datasets. Speed is critical for scaling insights, and IBM is optimizing IT infrastructure to achieve that speed. At Think 2018, we're also introducing other first-of-a-kind capabilities that address both the biggest obstacles and the biggest opportunities with enterprise AI in the cloud, including data security and a technical skills shortage. In the last 12 months, 58% of enterprises have had at least one security breach, according to Forrester. To protect data in the cloud, IBM is introducing services with mainframe-level data protection for cloud databases, containers, and developer kits for Apple devices. The services are made possible by bringing IBM Z into IBM's global public cloud data centers, giving enterprises secure data protection as they make progress on their AI journeys. Furthermore, to bridge the gap between the right hardware and the right skills, IBM will also be offering its POWER9 servers through the IBM Cloud. This includes the option to pre-install the PowerAI machine learning and deep learning software suite that's designed to speed training in deep learning for data scientists. 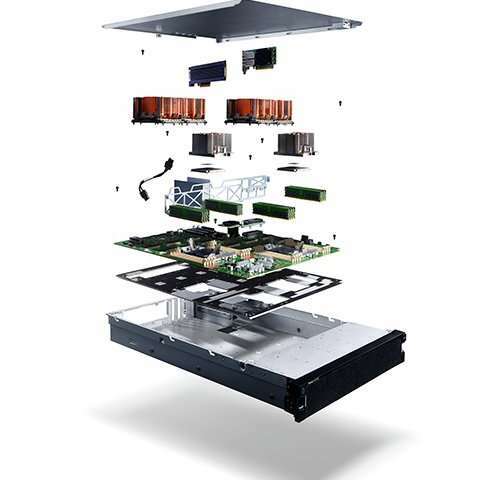 The POWER9 systems are purpose-built for data-intensive AI workloads and IBM worked with innovators like NVIDIA to boost performance by nearly 10x. The results are eye-opening. Tencent, a hyperscale datacenter provider, recently purchased a number of OpenPOWER-based systems to add to its growing enterprise data center. With its adoption of OpenPOWER technology, Tencent's overall efficiency has improved by more than 30%, with savings of 30% on rack resources and 30% on server resources. "We're betting on breakthrough technologies that are designed for cloud and AI workloads –and so are our clients," says Tom Rosamilia, senior vice president, IBM Systems. "Whether it's to accelerate customer insight and services delivery or provide data encryption across massive amounts of data, IBM Systems is uniquely differentiated for smarter businesses." So, this is what AI research has devolved to, seeing how fast your computer and algorithm can determine if a consumer will click on an add. This just amplifies Facebook's fiasco. Wonder why people are getting really upset with technology?